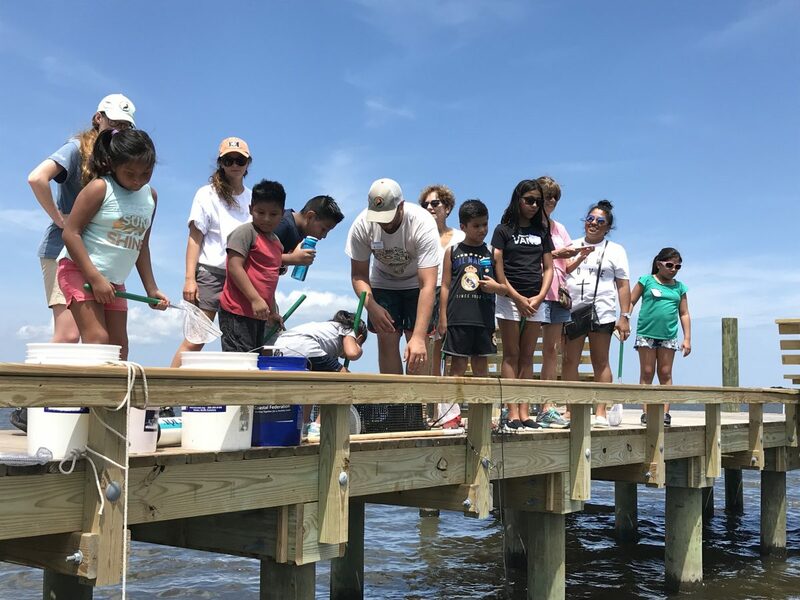 A total of 37 people attended a field trip to the Wanchese office with Mano al Hermano, including students and adults. 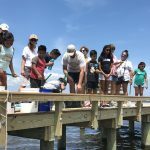 Mano al Hermano serves the Latino community in Dare County. 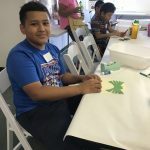 One of its programs is a Family Literacy Program that provides free home-based tutoring. 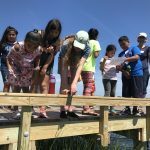 The field trip that took place is a culmination of the summer literacy program. 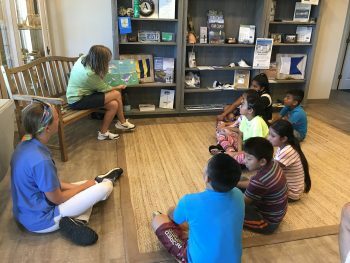 The participating students spent the past six weeks reading through three coastal themed books with their tutors. 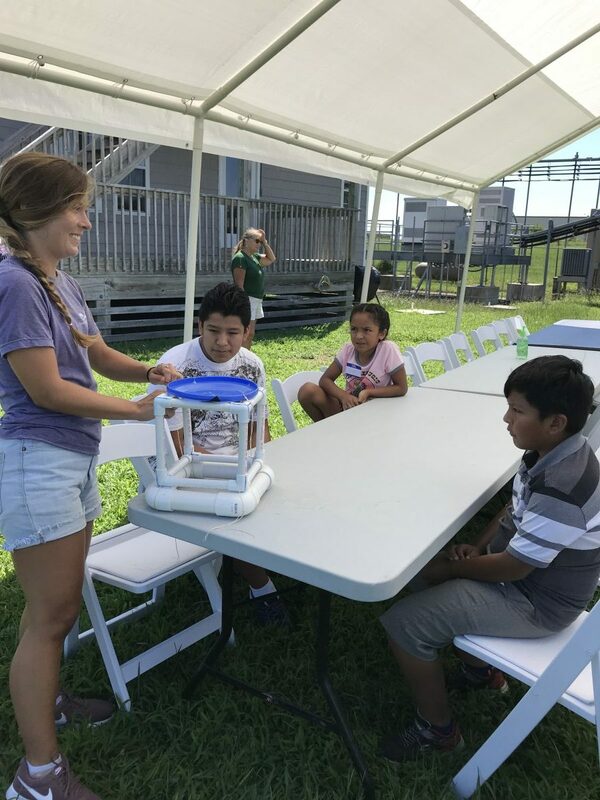 Using the books as inspiration, the activities for the field trip were planned by Sara Hallas, federation education coordinator. 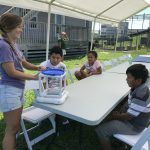 They spent time inside and outside participating in six different activities throughout the day. 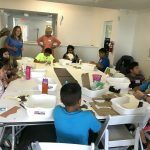 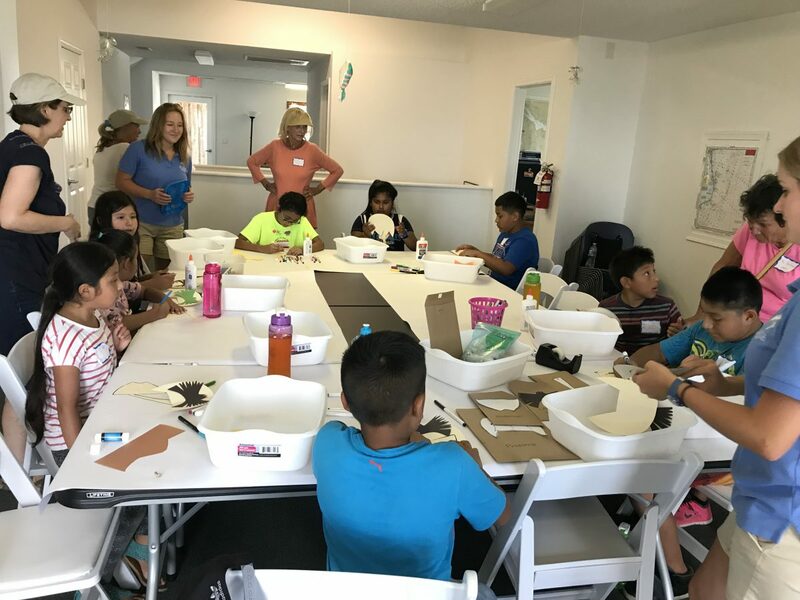 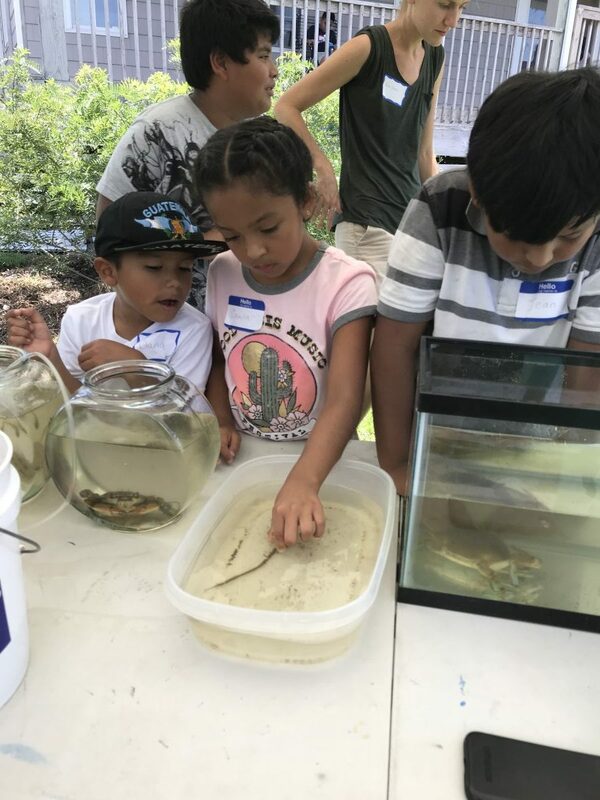 One activity included a horseshoe crab craft, which the children enjoyed doing having learned about horseshoe crabs from reading Moonlight Crab Count. 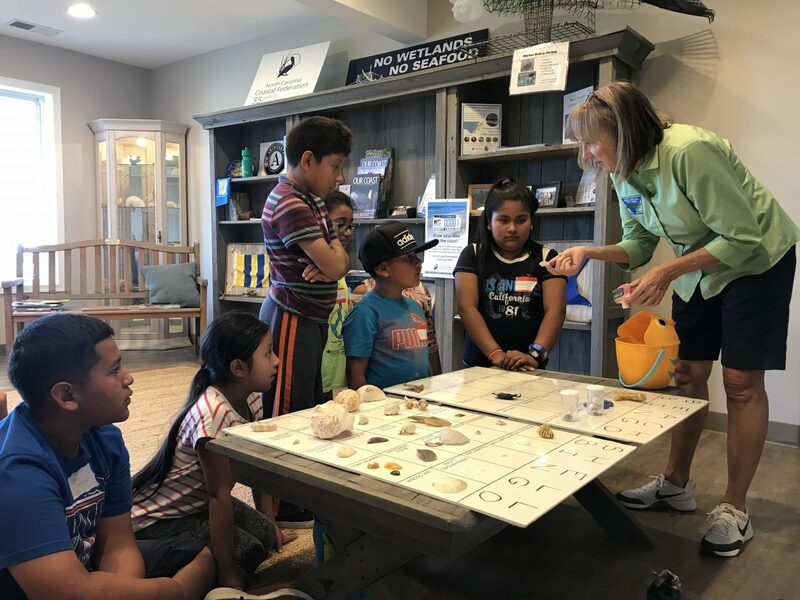 They also tried a Beachcombing Bingo activity and had the chance to see some of the artifacts they read about in Beachcombing, Exploring the Seashore. 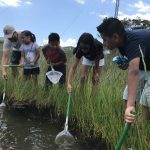 “For me, the highlight was when we made the horseshoe crab and my student exclaimed, ‘Ms. 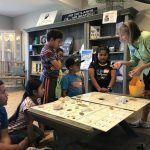 Julie, remember when we read that book together!’” Julie Stewart, Family Literacy Program coordinator, shared. 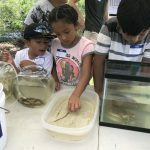 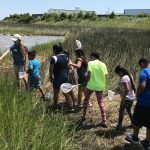 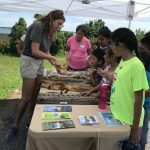 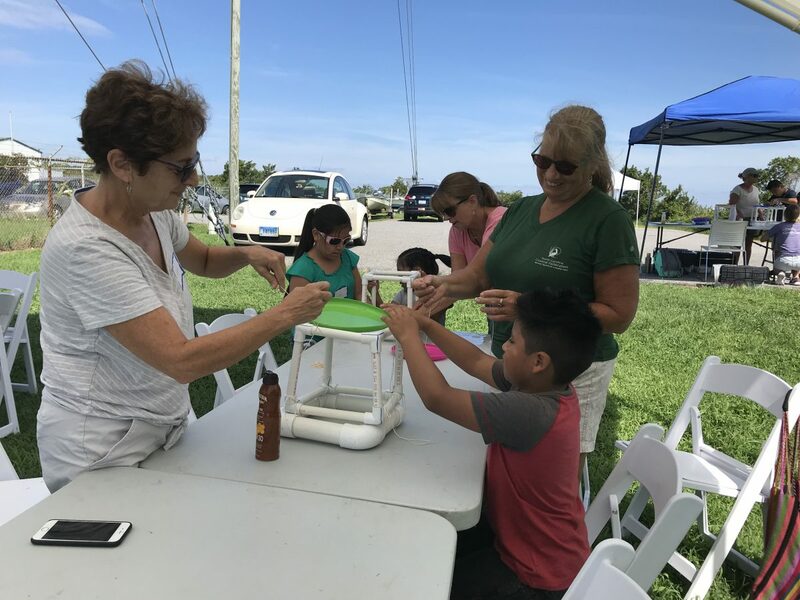 The activities were led by federation staff and volunteers, as well as some partnering organizations, including N.C. Aquariums, The Coastal Studies Institute, Jockey’s Ridge State Park and the Nature Conservancy at Nags Head Woods. 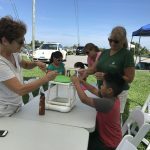 The students learned about making ocean observations and using buoys to collect data. 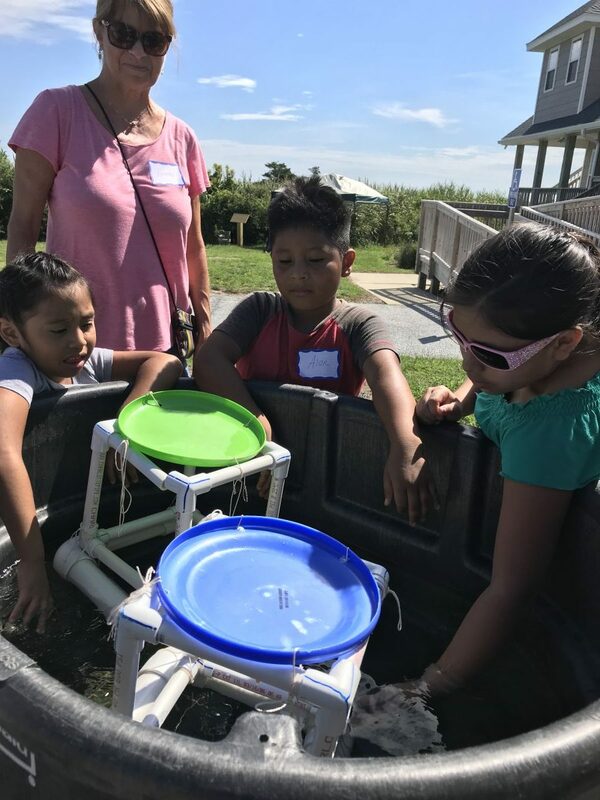 Led by The Coastal Studies Institute, they then got to try making their own buoys out of PVC pipes, string and a frisbee and got to float test them in a tank of water. 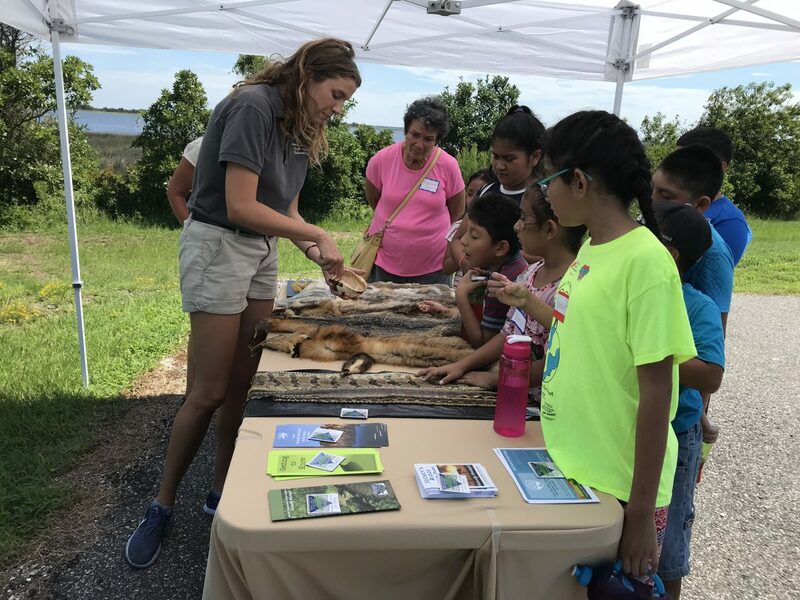 Jockey’s Ridge State Park staff brought animal artifacts such as mammal furs, skulls and a box turtle shell, for the students to learn about the wildlife that depends on the park for habitat. 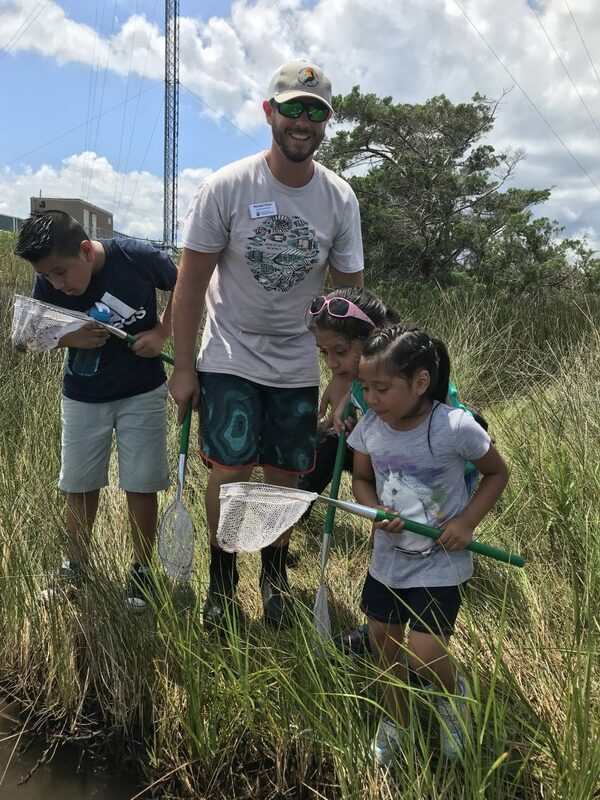 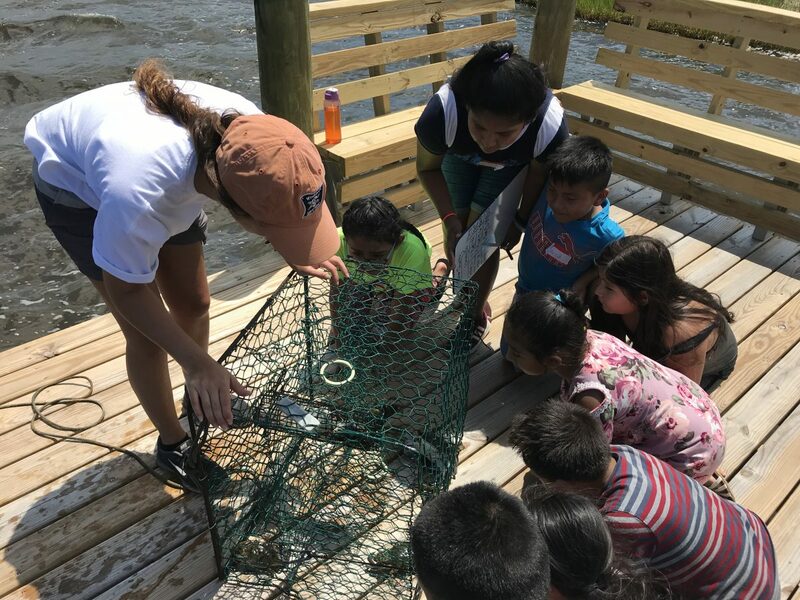 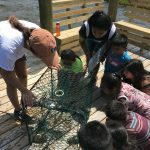 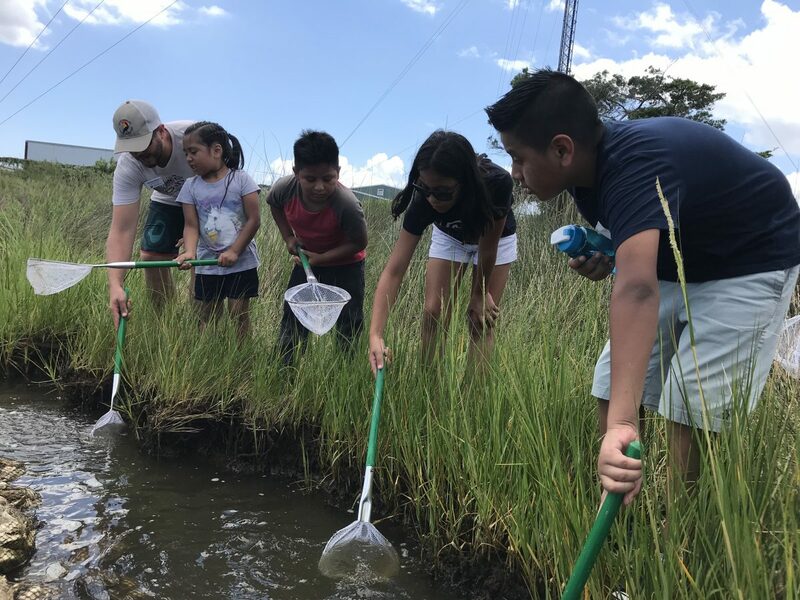 The students also used the federation’s new dock to explore the estuary, making observations of the sights around the shoreline, as well as spent time catching and releasing some of its aquatic residents, such as fish, crabs and shrimp. 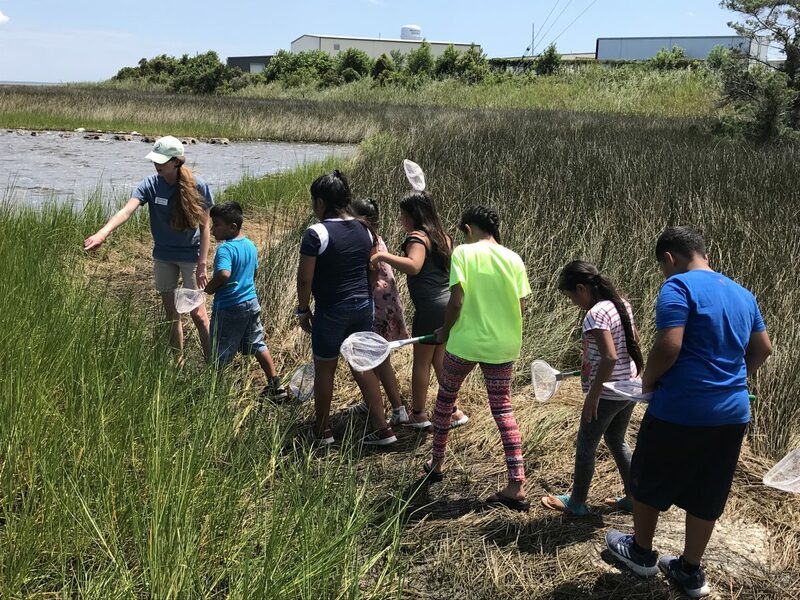 The students had fun getting a little muddy to see the live animals and really enjoyed a shoreline scavenger hunt to identify as many things as possible. 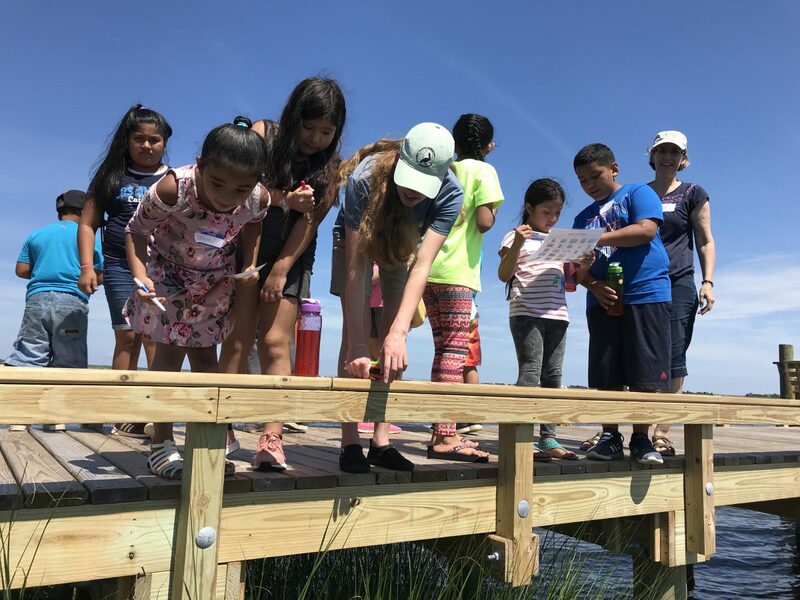 The students read about simple ways to conserve resources in Ten Things I Can Do to Help My World, which also includes ways to keep natural habitats healthy. 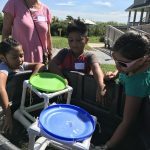 Some of the methods involved biking when possible, recycling, not letting the water run and turning off the lights when they aren’t being used. 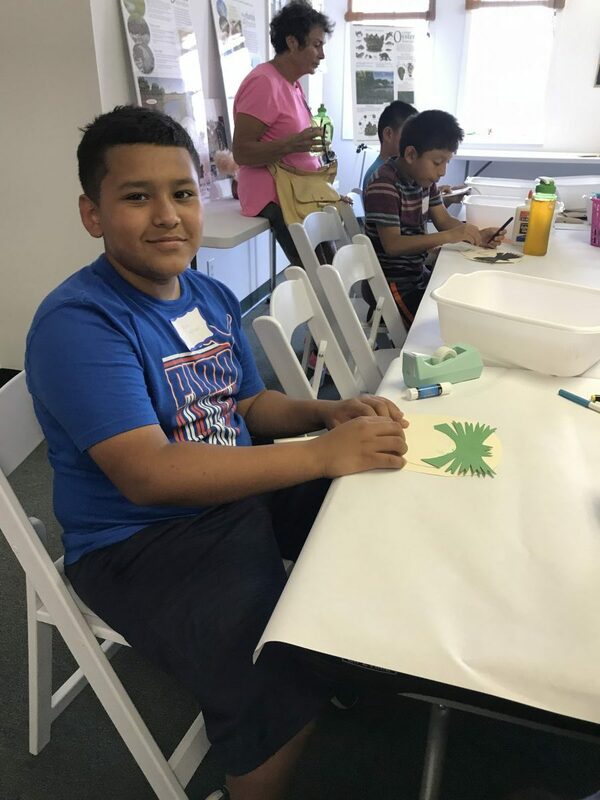 Thank you also to Kiwanis Club of Roanoke Island for the generous donation that covered bus transportation and lunch for participants. 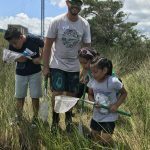 Check out some photos from this field trip!